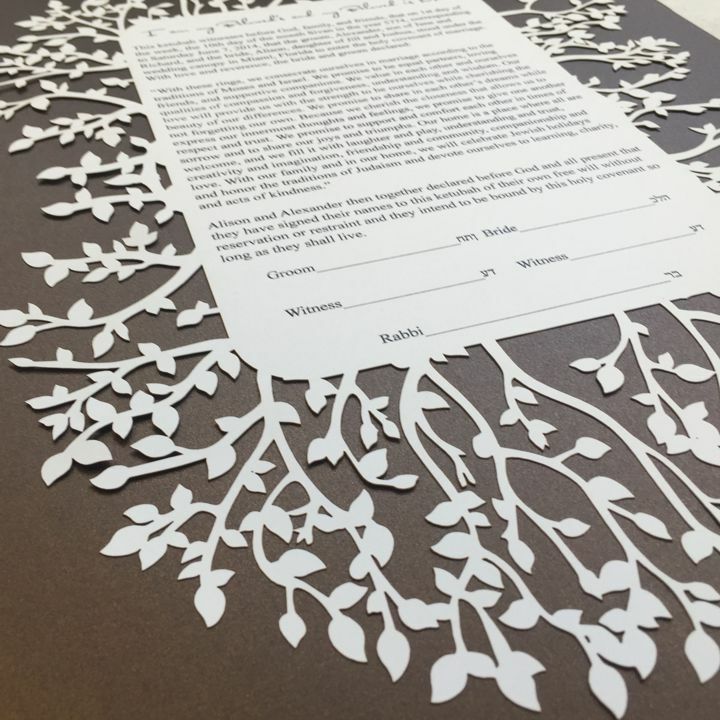 The Tree Leaves Two Layer Ketubah features a laser leaf frame around your wording mounted on a back layer. 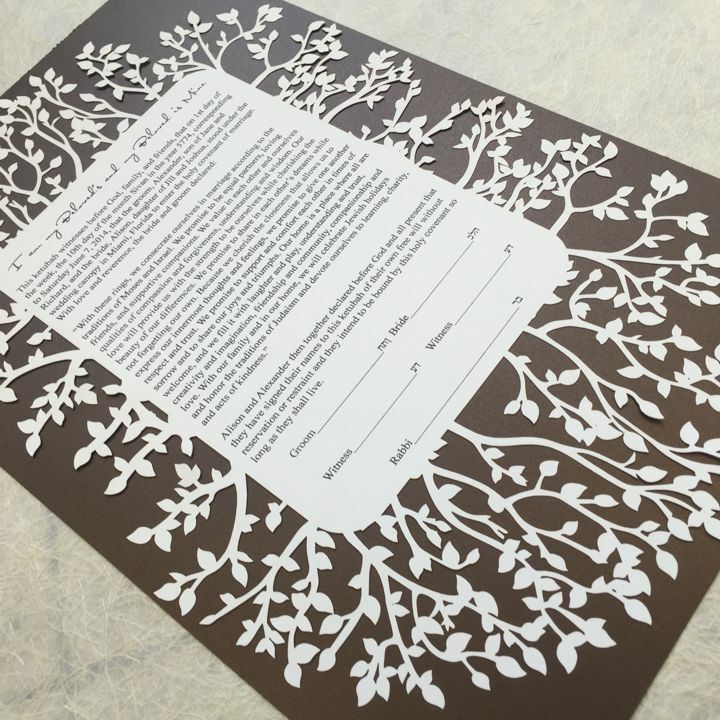 Laser Cutting of your Ketubah in paper color of choice. Printing of your ready-to-print wording. See tyesetting options for wording. NOTE:</strong> Typesetting is not included but available at an additional charge. See applicable charges. Your Rabbi or Officiant is the best source wording and should be consulted before final approval. 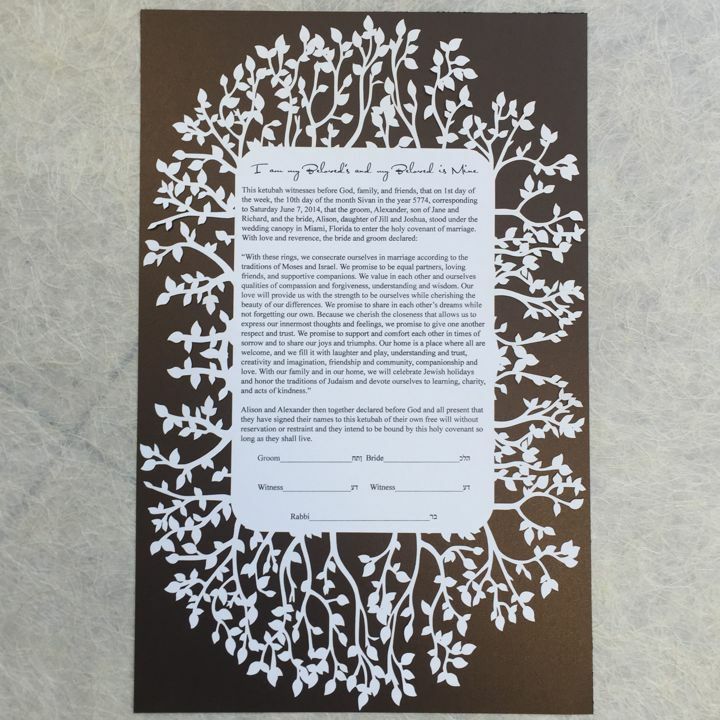 Ketubah price includes printing your typeset wording. In order to avoid a typesetting charge, your wording should be submitted in PDF PC format with no changes or addition required. The printable area is 6 1/2 x 9. Be sure to include the "I am my Beloveds…etc" or any title quote within that printable area. 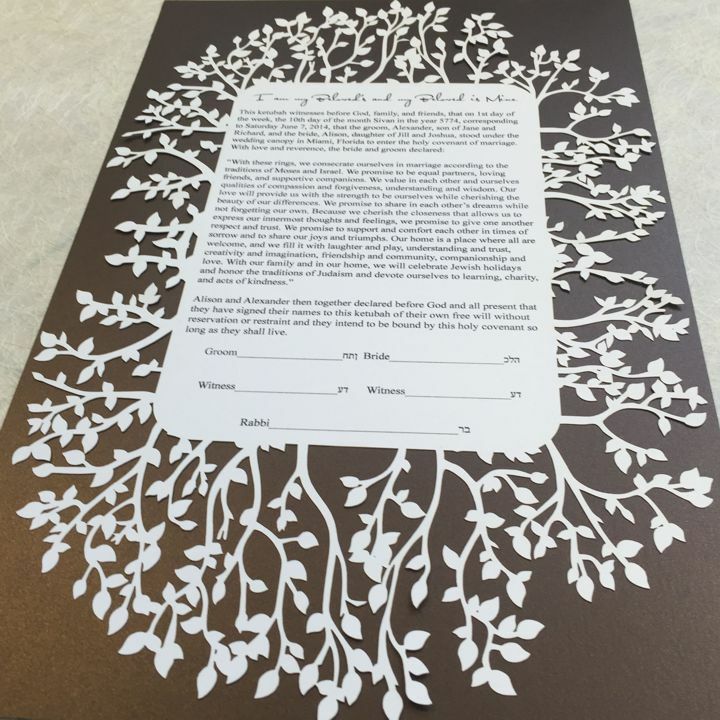 Ketubah price does not include typesetting. 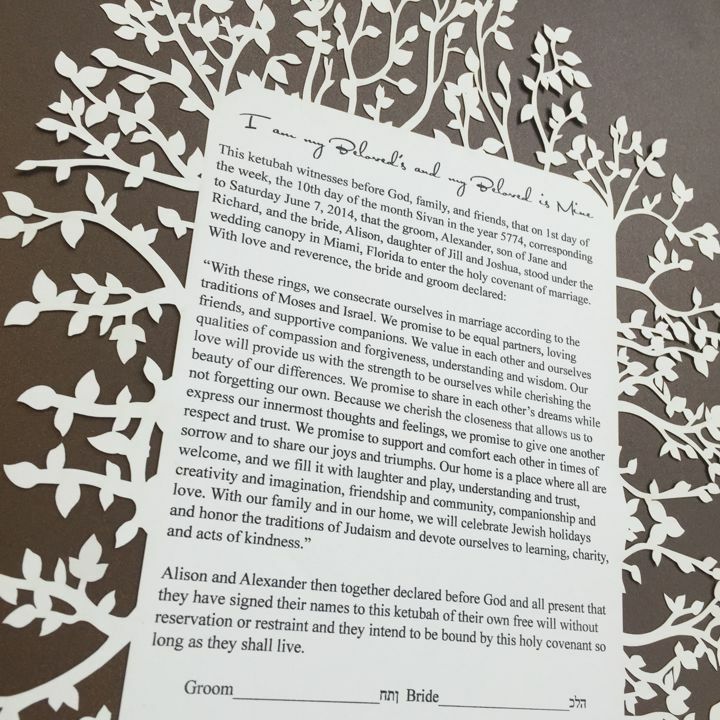 Once your order is placed you may email your wording to Ketubah@NaturalImpressionDesign.com. Your order will then enter into the typesetting phase and a you will receive a wording proof for final layout approval. Once the proof is approved estimate a week for shipping.